Mrs Philpott features 3 bedrooms with comfy beds in typically spacious surroundings. 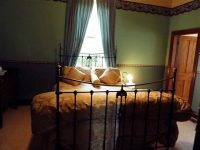 The main bedroom has a queen size brass and iron bed as well as an ensuite. The bedroom second has a double bed. The third bedroom is cosy and creatively decorated, featuring twin single beds. A bright and attractive sunroom leads out to a lovely paved garden patio. Perfect places to read a book, take a drink or enjoy an outdoor meal. 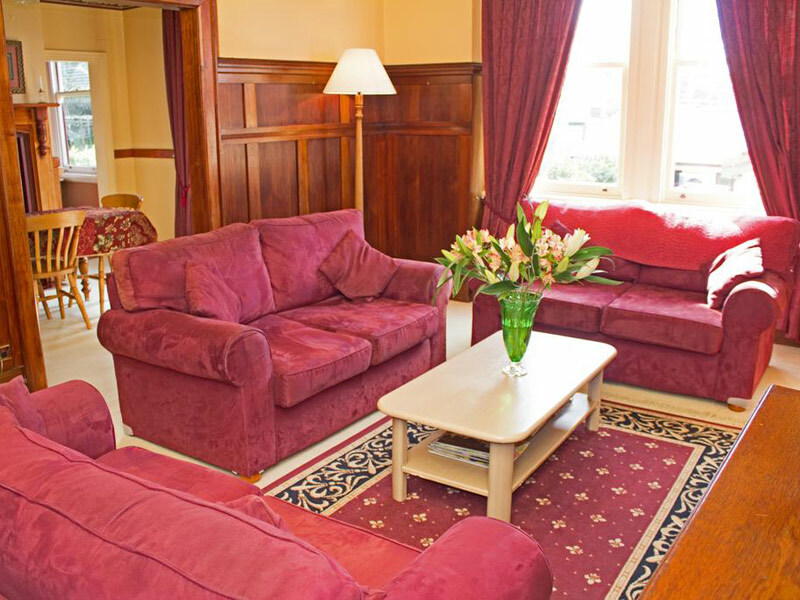 The formal lounge room is as cosy as they come. Everywhere you look you’ll be affected by the charming ambience. 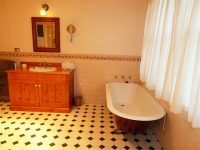 When you stay at “Mrs Philpotts” boutique cottage you are provided with first rate facilities in all departments. 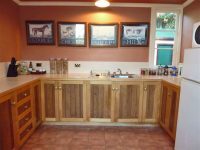 This extremely attractive kitchen is provided with high standard equipment and an excellent inventory. 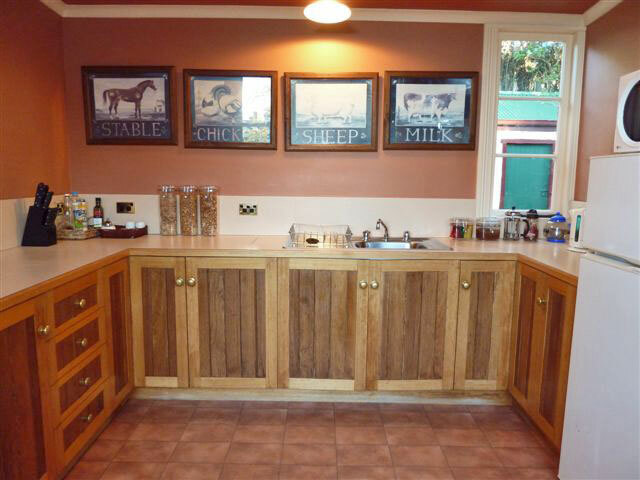 Your tariff also includes a substantial English Breakfast basket freshly provided each day. Whilst it is indeed a pleasure to prepare a lovely meal in the comfort of your own accommodation, you are also well served by a range of excellent restaurants within easy walking distance of Mrs Philpotts. Mrs Philpott’s cottage boasts free WiFi.